Trek shook heads when they dropped their super-aero Madone a few years back. And with the current lean towards disc brakes it was only a matter of time before we saw them unveil a new Madone Disc. Trek has embraced disc brakes with its Domane and Émonda, the latter one of the lightest disc-equipped production bikes currently available. The new Madone Disc looks slick and doesn’t shy away from its aero roots, whilst being comfortable thanks to its IsoSpeed decoupler. But how does this new rig ride? The location for the launch of the new Madone was set in Waterloo, Wisconsin, USA. (This isn’t meant to sound like we’re boasting about escaping the NZ winter!) To give it some context, the small village with just over 3,000 residents is the home of Trek HQ, and has been since ‘76. Being in this part of the world is pretty far-fetched for a Kiwi, but Wisconsin (in America’s Midwest) is known as the dairy state, so it quickly felt familiar. We handful of journos quickly got off the press bus and familiarized ourselves with the ride day site: a small cabin in the Blue Mounds region, situated in the outskirts of Madison. Like a good Kiwi, I spotted the outdoor BBQ, so I knew there needed to be enough riding done to enjoy the post-ride food! After brekkie we got ready for the ride. Loaded from the delicious cold brew coffee and a round of homemade muesli, I was eager to climb aboard the new swift-looking Madone and see how it rode (and shake off my caffeine buzz). The Ride – Part One: Trek have been renowned for their ability to offer better ride quality with their game changing IsoSpeed. The new Madone has been updated with a key technology that allows you to adjust the ride from smooth to subtle via the Isospeed in less than one minute. This is an advantage in the aero game, as some aero bikes tend to feel harsh and overly stiff, which, to be honest, can be punishing at the end of a long ride. The Madone, however, delivers on comfort—well, at least on this four-hour ride. 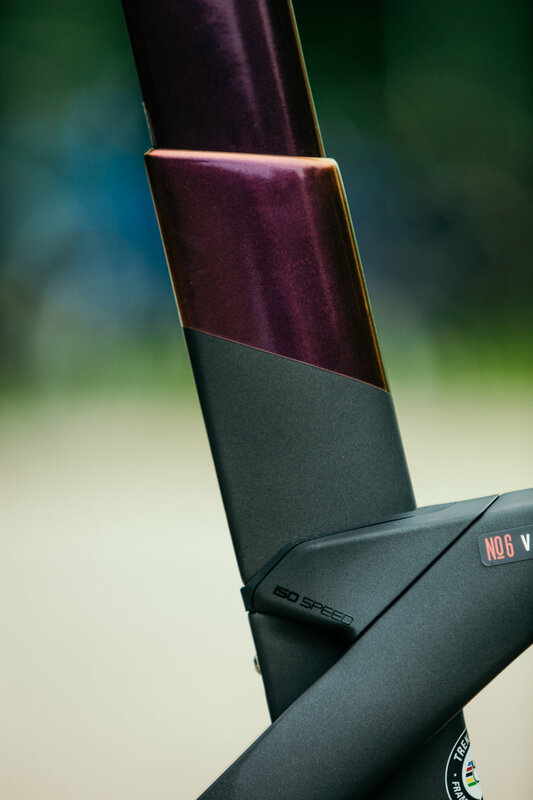 We hope to have our hands on one soon for an in-depth review. I made sure to venture on rougher roads during our press ride, and we even hit some gravel. The ride was smooth and forgiving whilst still feeling stiff. Trek explains the adjustable top tube IsoSpeed: The benefit of IsoSpeed is that it not only smooths out the surface for a sublime ride, it diminishes the fatiguing impacts of the road, thereby allowing the rider to remain fresher longer. 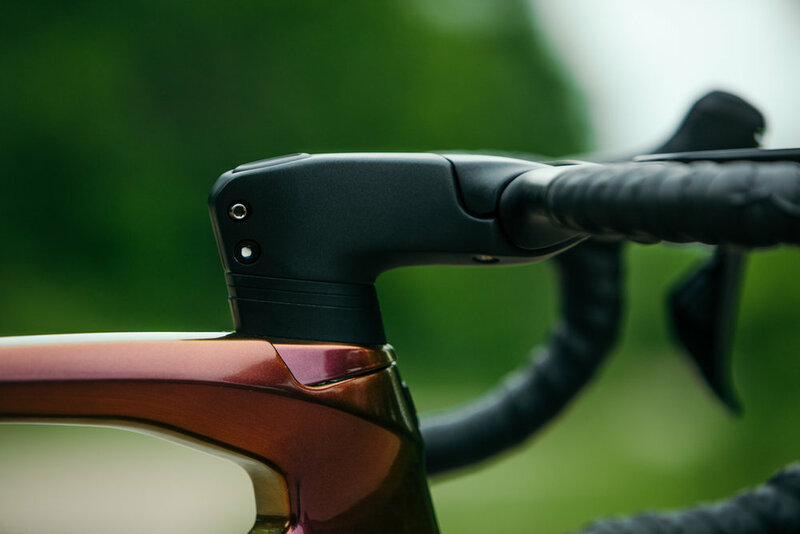 Adjustable IsoSpeed was first released on the seat tube of Trek’s Domane line; it’s a feature that’s been met with wide praise since its release. Top tube IsoSpeed on the Madone SLR is adjustable to customize the compliance to rider preference and terrain. The new Madone is up to 17% more compliant over its predecessor when set to the most compliant setting. Top tube IsoSpeed is damped to rebound in a smooth and controlled motion, providing the rider more stability. Rebound on the new Madone SLR is reduced by 13% over the current Madone. Another benefit of this new technology is the ability to closely match vertical compliance values across all frame sizes, since the top tube seat mast is of similar length. No matter what size bike you ride, you will benefit fully from IsoSpeed compliance. The Ride – Part Two: Most of the fits for aero bikes can be overly aggressive, leaving the rider yearning for more comfort. (Or take on a full yoga programme) The new Madone SLR, however, features a new H1.5 geometry that puts the rider in the optimal aero race position. Trek explains that the new H1.5 hits the sweet spot for a wide range of racers, as it balances a traditional aggressive race geometry with a position that more athletes can hold longer, and with more comfort. I found the position low and aggressive without being overly uncomfortable, even when the hammer went down during the media ride or I decided to go up the road in a single-man breakaway. The position delivered power and prompt acceleration as the air rushed through my helmet—it certainly made me feel fast! The Madone SLR adds to the fit by providing riders with more stem options, additional bar sizes and +/- 5 degrees of bar rotation. The final ups and downs around Blue Mounds State Park were relentless. Luckily, the new Madone SLR climbed really well and seemed to be at home on the steep pinch climbs. The bike suddenly made sense as more of an all-rounder rather than just a straight-out aero bike. Don’t get me wrong; this rig is damn fast across the flats, but it doesn’t leave you asking for more when hitting the climbs or descents. Towards the end of the ride, I was scrambling for a Coke and luckily our support car had a few drinks (along with beer) in the chilly bin. We finished back at the cabin, where water, Cokes, beers and meat awaited—a perfect way to finish a tough ride, with a few chitchats and good times. That night some of the Trek staff invited me out to a local ballgame; you can read more on that adventure in NZCJ’s next print issue. Trek explains the Men’s and Women’s Madone Models: Madone SLR comes in both men’s and women’s specific models, both featuring the same best-in-class frame platform. Women-specific touchpoints include saddle, handlebar width and stem length, all spec’d to fit most women better from the start. Currently being raced by both the Trek-Segafredo and Trek-Drops professional cycling teams, the new Madone is now available for purchase exclusively at Trek retailers worldwide. Madone is available for customization through Trek’s custom bike program, Project One, including the revolutionary all-new Madone-exclusive paint schemes, ICON. Read the full feature and review in New Zealand Cycling Journal Vol. 7. The S3 Disc sits right between Cervelo's Classics-oriented and aero-focused machines.